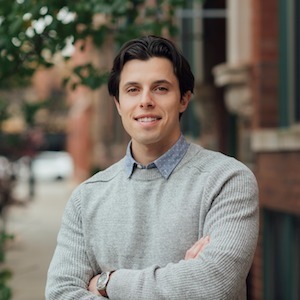 Starting his Real Estate career as a marketing intern for real estate agents, Matthew has worked with top real estate producers throughout Chicagoland. While bringing an outside perspective on marketing properties he values the client relationship aspect of the industry. He is applying his experiences to ensure his clients of a top notch real estate transaction. Matthew has graduated from Roosevelt University, located in Downtown Chicago, with a degree in Integrated Marketing Communications. He has been nationally recognized for his work in Data Research and Public Relations during his time at Roosevelt. Moving from Tucson, Arizona, he has made his new home here in Chicago. Living in Lakeview, Albany Park, South and Central Loop, he is quickly becoming an expert of the land. While he has found his home, he is eager to help you find yours.